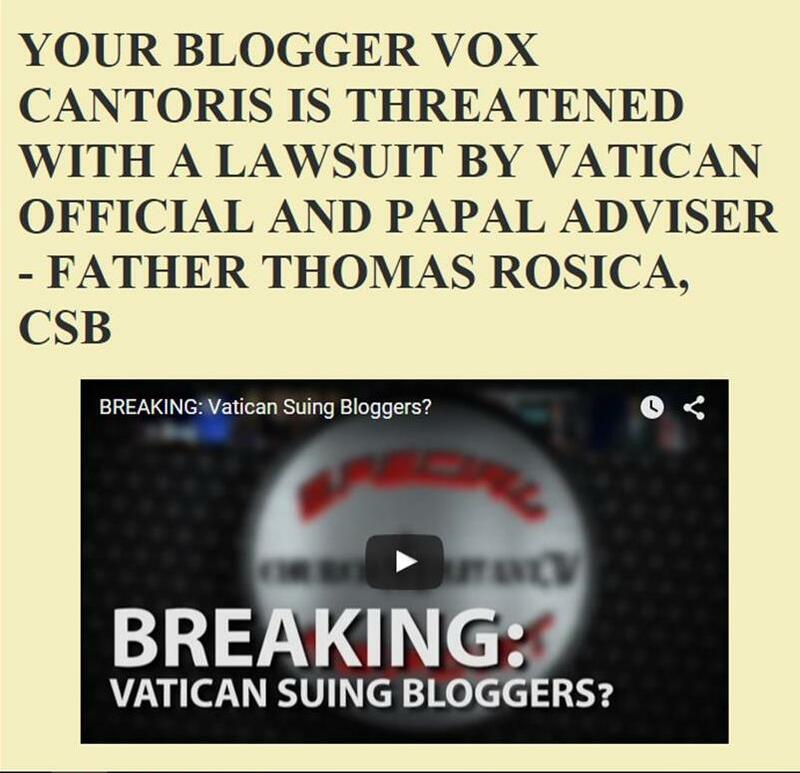 Vox Cantoris: Bergoglio`s Vatican removes Holy Mary and St. John from the Crucifixion! Bergoglio`s Vatican removes Holy Mary and St. John from the Crucifixion! An ancient tradition in artwork whether in the east or west is the Crucifixion of Our Lord with Our Sorrowful Mother and St. John at the foot of the cross. All others, including St. Mary Magdalene are not depicted. The intent of this portrayal can only be to show the intricate connection between Our Lady and John and the words of Our Lord from the Cross, "Woman, behold thy son, John, behold thy mother." 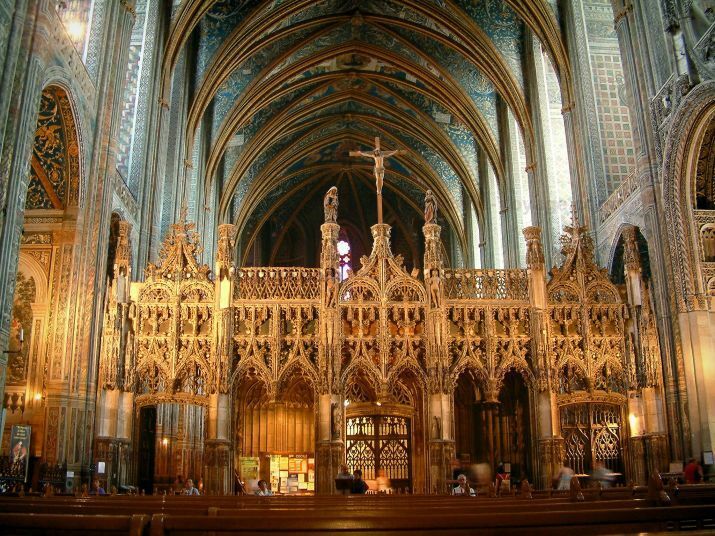 Architecturally, this also was depicted in the ancient rood screen, so long lost in our churches. The current degenerates and minions of Bergoglio in the Vatican have other ideas. The postage stamp issued by the Philatelic Office for the occasion depicts in the foreground Jesus crucified and in the background a golden and timeless view of the city of Wittenberg. With a penitential disposition, kneeling respectively on the left and right of the cross, Martin Luther holds the Bible, source and destination of his doctrine, while Philipp Melanchthon, theologian and friend of Martin Luther, one of the main protagonists of the reform, holds in hand the Augsburg Confession (Confessio Augustana), the first official public presentation of the principles of Protestantism written by him. This papacy is intent on taking Christ from the cross in keeping with the Protestant notion that in Christ's resurrection from the dead He is no longer hanging on the Cross of Salvation. They show little interest in the Passion & Death of Christ for our sins, only in His resurrection by which they affirm Justification without the necessity of good deeds - all sin having been conquered by Christ once and for all. The Devil is very cunning. Once he makes us all Protestants (he hopes) then, like them, faith will diminish to such a degree that it is no longer relevant. Divine intervention seems inevitable now as God's promise to remain with His Church until the end of time must be revealed to mankind so that all may be converted to the Truth. What an especially abominable satanic abomination! Only satan himself would create and publish such a diabolical thing as this most foul stamp. Would one persist in recognizing this anti-Christ as the Vicar of Christ? Would one persist in recognizing satan's infernal NWO creation as the Catholic Church? Would one spit on Vatican I, Pope Leo XIII and St. Robert and refute the Catholic doctrine that an heretic cannot be Pope? No! Nobody in their right mind would! May these monsters rot and burn in the lowest part of hell, with their master, for eternity! Those who knowingly abet them, will be right at their sides. Speaks volumes ,replacing the Holy with the unholy,relacing the Immaculate Virgin with the lecherous luther . See that in this picture His Feet are touching the ground, He is not "lifted up". This is the mark of these times, this season and the reign of Bergoglio who I will not refer to as pope. The effort is to bring God low, to bring the Divine to the dust. Clearly, I've been wasting my time giving the Novus Ordo regime the benefit of the doubt all these years. If this had been done shorty after the council no one would have tolerated it and they wouldn't have gotten away with all heresy they've been slowly introducing into the body of christ. I don't like being made a fool of, but that's on me, not anymore though, I'm done with all this nonsense. I thank you for your amazing work and your courage. Bergoglio is evil - simple. Here in Ireland the bishop of Limerick - Brendan Leahy and the Archbishop of Dublin - Diarmuid Martin - are evil apostates and homo lovers. Hope you can look at it and mention it when the time comes. They are enjoying this. This isn't just a stamp, it's an opportunity to publicly rub our noses in it. They're having a great time with this stuff. These are cruel, vindictive, and petty men. The Homosexual Harlots at the Vatican is bringing in the kingdom of Satan into the Holy Catholic Church. This is just another deconstructions of the Tradition in Christ's Church. Of course, to do so would be heresy, since every act that our Lord performed MUST have an eternal dimension, since he was both human and divine. It seems that old heresies never die; however, we don't expect them from the Holy See! Time for Pope Benedict and college of Cardinal red to.declare a Schism in the faith . Such apostasies coming out of a Vatican infestation of Jesuits lutherans .stamps and homosexual Roisica Paglia McElroy Dolans. both coasts and Martin's of America and Dublin Ireland etc..
Johnno, you're post at 8:04 wins the prize!!! The Vatican's Philatelic Office has absolutely no right whatsoever to issue such an heretical stamp! Period.